Specifically designed for heavy duty usage, the Culligan HF-150 whole house water filtration system is a genuine OE part from the manufacturer. 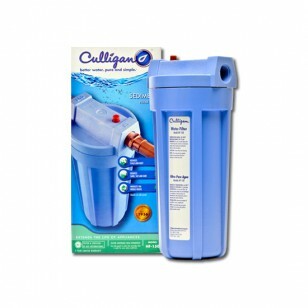 Installs quickly and easily, and begins going to work reducing the amount of sediment in your drinking water immediately. Package comes complete with housing and operation/installation instructions. Order the Culligan HF-150, an affordably priced whole house water filtration system from Culligan, online today.